I can't believe I've never heard of this! Sure, I've cooked with beer before - crockpot shredded pork, chicken glazes - things like that. 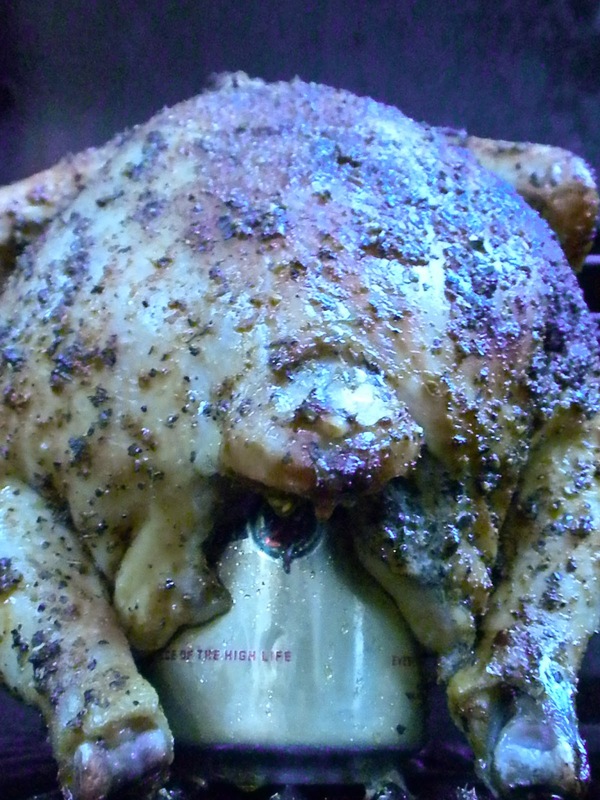 But somehow I've never heard of sticking a full beer can up the rear of a chicken. Of course, it makes sense - the beer evaporates and permeates the fowl meat from the inside out. 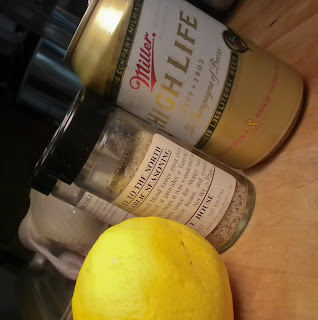 If you season the cavity of the bird, the steamed beer carries those flavors to every nook and cranny, making every bite as sumptuous as the one before. 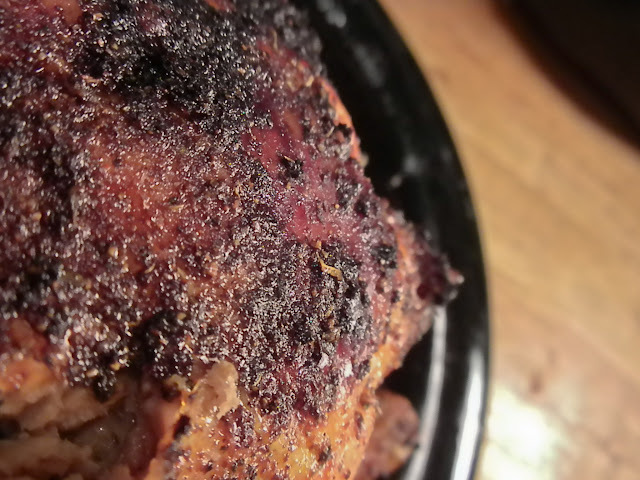 I used the Spice House Maple-Garlic seasoning as the base for my rub, making the meat savory with just a touch of sweet. 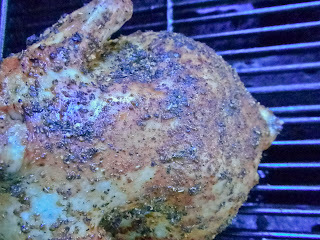 For those who have tried this in the oven, I suggest giving it another shot on a grill, especially one with a short upper rack to help steady the bird. It isn't easy to keep that thing standing - not surprising, considering it's shotgunning a can of beer. 1) Preheat the grill to medium-low heat. If your grill has multiple burners, plan on placing chicken directly between two of them. Our grill has four, so I turned on the first and the third burner, and placed the chicken over the second to keep the drippings away from the flame. 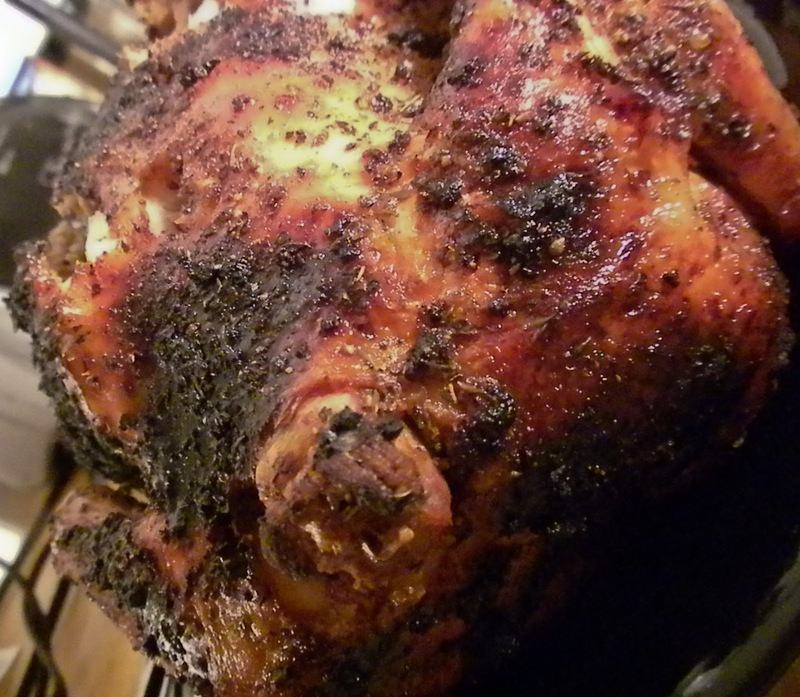 5) Rub the entire chicken, including side the cavity, down with the seasoning mixture - be generous! I've never had a roasted bird like this - tender without being sloppy, slightly sweet, extremely savory, and if we can contain ourselves, we'll have a week worth's of lunches. Thank you, beer. For all of the gifts you bestow.